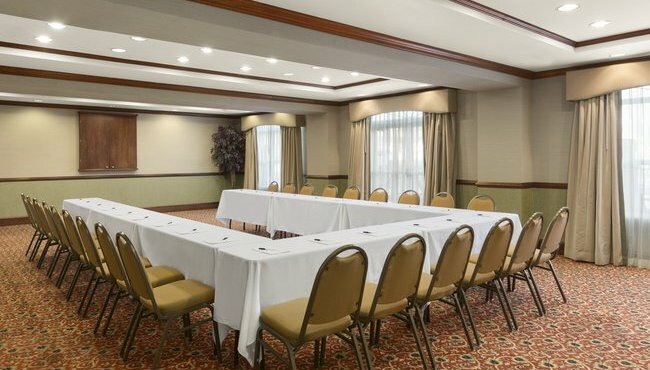 The Country Inn & Suites near Potomac Mills offers a convenient venue for business luncheons, corporate events or social gatherings. Our versatile meeting room accommodates up to 70 guests and can be arranged in a variety of ways. Give a winning presentation using our audiovisual equipment and free high-speed Internet access. We can create a customized Web page for your event to keep your guests informed, and our friendly staff can help with planning and catering recommendations. For multi-day meetings, room blocks are available if you need overnight accommodations. Traveling with a tour group? Our hotel also offers special services and amenities perfect for groups coming into the area.